TSTRANSCO Sub-Engineer Answer Key 2018: Transmission Corporation of Telangana Limited (TSTRANSCO) has organized the Sub-Engineer Examination on 25th February 2018 across the state. The examination has been conducted in many examination centers across the state. Many of the applicants have appeared for the TSTRANSCO Sub-engineer examination with a great aim to get the job. Aspirants appeared for the examination can cross-check the answers from the TSTRANSCO Official portal, tstransco.cgg.gov.in. 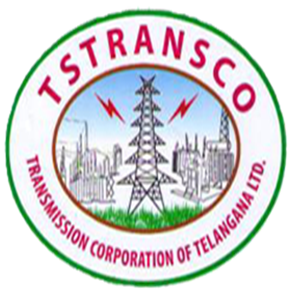 Telangana TRANSCO is going to upload the Sub-Engineer answer key PDF for all sets A, B, C, D. Aspirants appeared for the test can download TSTRANSCO Sub-Engineer answer key PDF and evaluate the score by comparing the correct answers. Candidates can check more details from the following. Transmission Corporation of Telangana Limited is the state level organization working for Telangana power supply and other related works. The organization offers various jobs for the interested aspirants. This year the Telangana TRANSCO has released the official notification for 174 Sub-Engineer / Electrical posts. The TRANSCO has received a great number of applications from the interested and eligible aspirants. The application process has done from 20th January to 5th February 2018. Many of the aspirants willing to get jobs in the state of Telangana have applied for the TSTRANSCO Sub-Engineer jobs. Almost all the applicants have appeared for the test with great ambition. Aspirants competed for TSTRANSCO Sub-engineer examination can check the answer key within 3-4 days after the examination. The answer key will be accessible on the official website, tstransco.cgg.gov.in. Candidates can download the answer sheet/question paper solutions for all sets and compare the score with the corresponding set to estimate the score. By calculating the probable score candidates can estimate about their future contending in the selection process. Check the steps to download TSTRANSCO Sub-Engineer Answer Key PDF. The “Preliminary Key” for the Written Examination conducted on 25.02.2018 for the post of Sub-Engineer/Electrical in TSTRANSCO is placed below. The candidates who have appeared for the written examination are herewith informed to raise their objections, if any, to the mail id: sertobjections2018@gmail.com on or before 02.03.2018 upto 5.00 pm. Objections will not be entertained after the stipulated time. tstransco.cgg.gov.in – Is the official portal of TSTRANSCO. Have a look at the page. TSTRANSCO Sub-Engineer Answer key 2018 Link appears on the homepage. Click on the link.